Ooooh, it’s going to be much harder to summon the sufficient nihilism this time around. 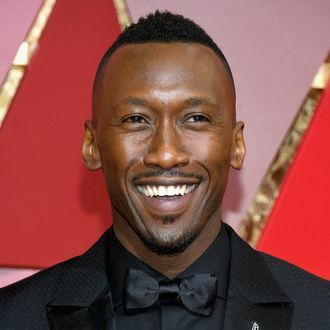 While there is no definitive deal in place as of yet (and technically, no new season officially ordered by HBO), according to Tracking Board, Mahershala Ali is apparently in early talks to star in a potential third season of True Detective. The casting of the Academy Award–winning Moonlight actor would be a logical continuation of the show’s star-studded casting; as you probably recall, Matthew McConaughey and Woody Harrelson played the leads in the crime drama’s first season, while Colin Farrell, Rachel McAdams, and Taylor Kitsch starred in its second. There’s no information yet on the premise of the show’s third season, which series creator Nic Pizzolatto is reportedly working on with David Milch. Regardless of the actual plot, the season’s inevitable takeaway is that, while human consciousness might be a tragic misstep, hiring Mahershala Ali never is.